This Decal set is for All Models 3 1/2 to 7 1/2 1947 – 1953. Decal sets are all sticky back vinyl. 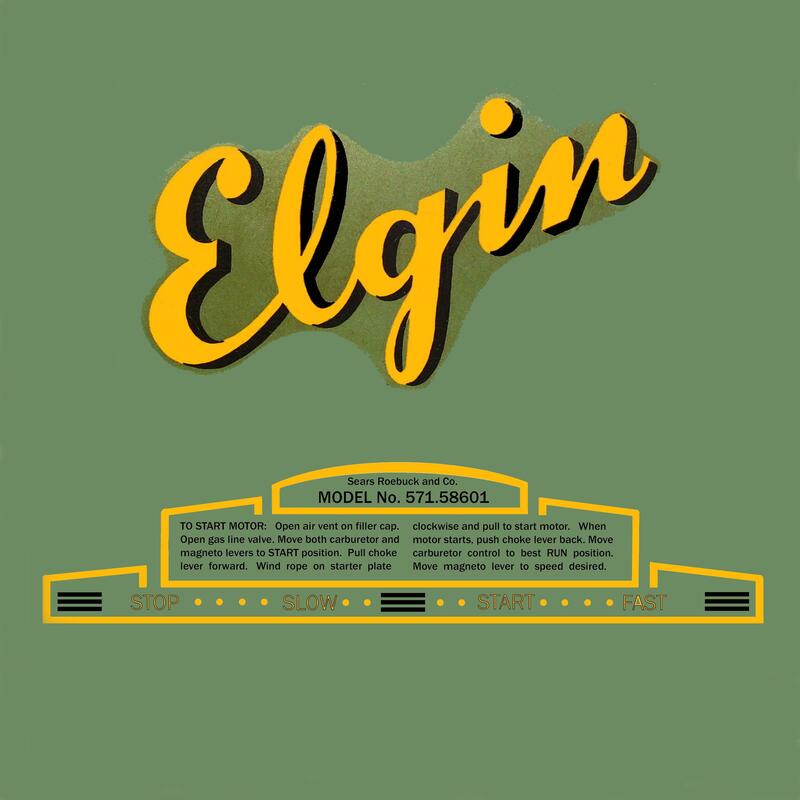 Full sets include “Elgin” side decals and front decal, the model number is on a separate incert decal.